A new addition to the museum collection is this large – 14.75″x 9.75″ – wagon plate. 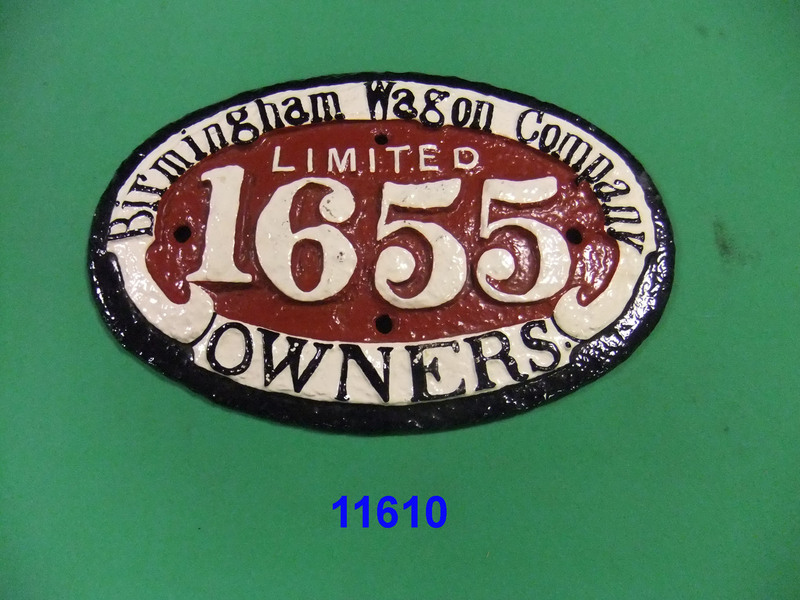 Manufactured by the Birmingham Wagon Company Ltd. This entry was posted in Chasewater Railway Museum, Museum Exhibits, Vehicle Components and tagged Birmingham Wagon Co, Brownhills, Burntwood, Chasewater Railway Museum, Museum Collection, Railways, Steam Trains, Wagon plate. Bookmark the permalink.